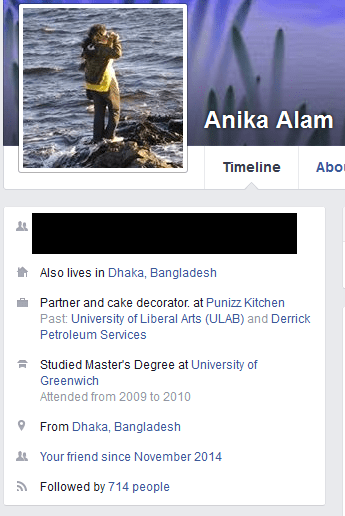 Anika Alam, is an entrepreneur from Bangaladesh. She is co-founder, partner and cake decorator at Punizz Kitchen . I know her from 2014. When i search some new story for START! of Jamuna Television, Tahmina Shoilee apu referred her name. Anika Apu, now, is a backer but before that she is a teaching professional. She earned Master’s Degree from Europe! When I need like for my facebook post I knock her, and then she invest her like for my post! She loves food, she loves to feed & she love cook. Total 801 views. Thank You for caring my happiness.